Are you looking to run against your friends and family or even complete strangers all the while getting dirty? Well, our mud runs in Massachusetts could be just your ticket. We hold many mud run and obstacle events for kids and adults in MA. 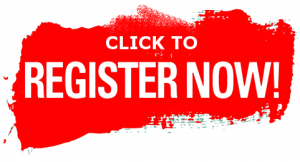 The course varies in length but you are guaranteed to have a blast and make many memories. We have over 15 military style obstacles to complete as well as various mud obstacles. Many have compared our mud runs and obstacle races to the Spartan races or even American Ninja Warrior, but for families. Our mud runs are a great way to get your kids outside and excited to spend some time with the family. We welcome kids to our kid’s mud run from ages 5 and up. As a parent, you run right next to them every step of the way during our kids mud run event. Why Run In Our MA Mud Runs? We’ve all seen posts by those crazy friends on Facebook doing a family obstacle race or mud runs where they jump into icy pools of water, climb over high walls and army crawl under barbwire. Pure torture. 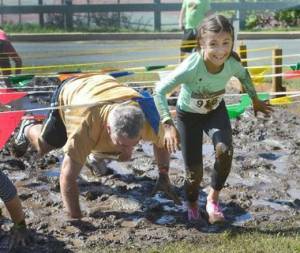 Now you can sign up for these family obstacle races and bring your children! And why not? Kids are not shy about wanting to jump in the mud, and the chance to do that with their parents’ encouragement can be a dream come true. The family can also bond by training together for the MA mud run, encouraging one another and accomplishing an obstacle race together as a family. There are many perks when you sign up for a mud run or obstacle race with us. Some of these are a FREE official race t-shirt, a medal, and many more race perks! You can sign up as an individual or even form a mud run team with a creative name to boot. We welcome all levels of competitors to our mud runs. Find A Mud Run in MA Today! This family-friendly event in New England will create many new memories which you will be talking about for years to come. Our kid mud runs in Massachusetts are full of fun and happen throughout the summer and some in the Fall. We are constantly adding new mud runs and obstacle races in Massachusetts and around Boston. So be sure to check out our mud run events page often. If you would like to host your own Boston mud run or community obstacle event, contact us today!